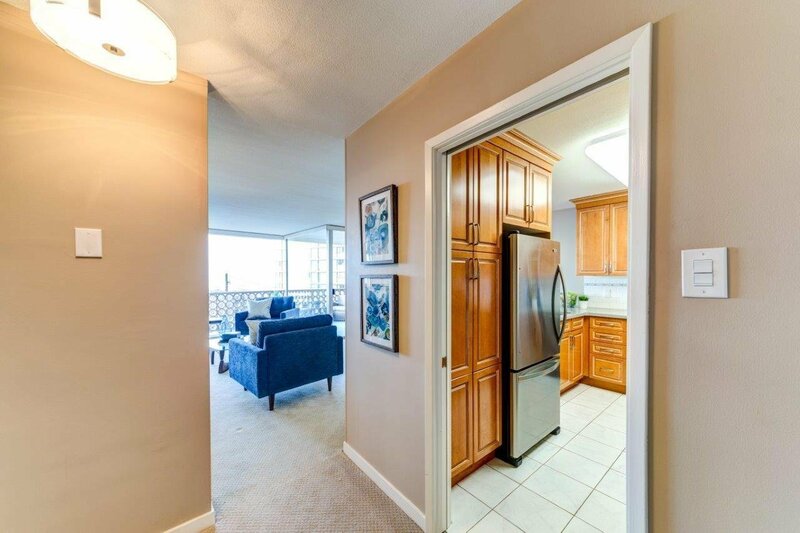 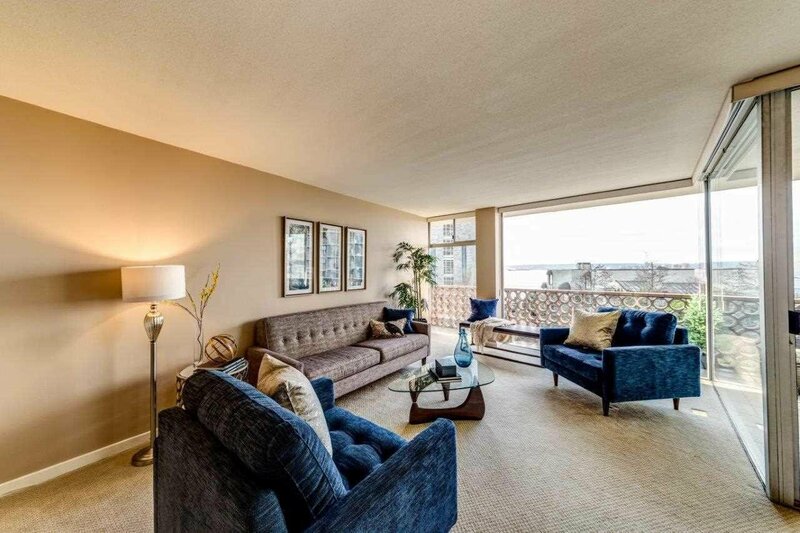 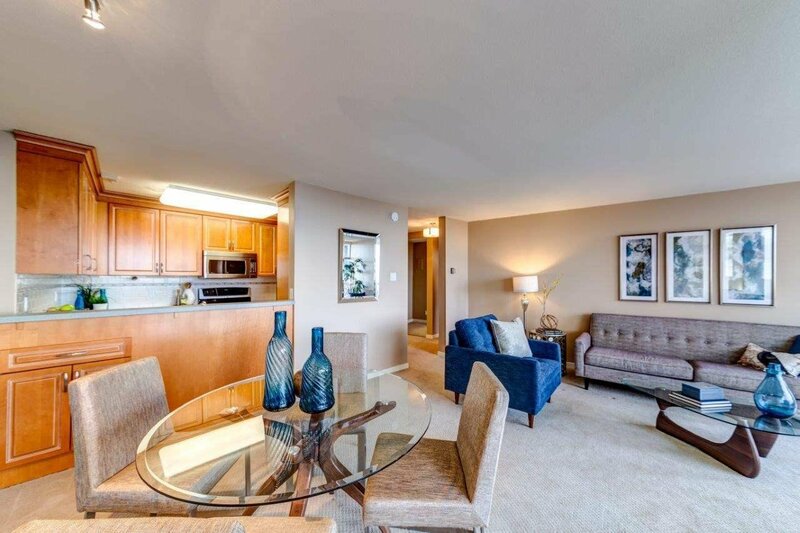 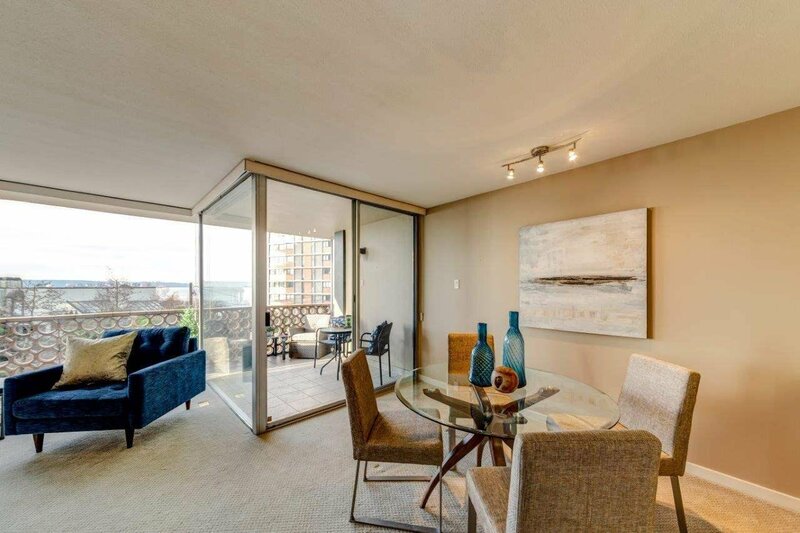 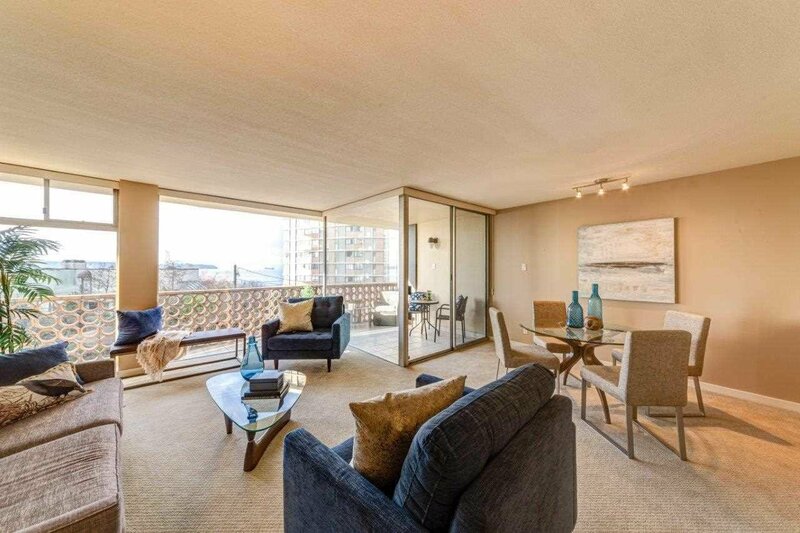 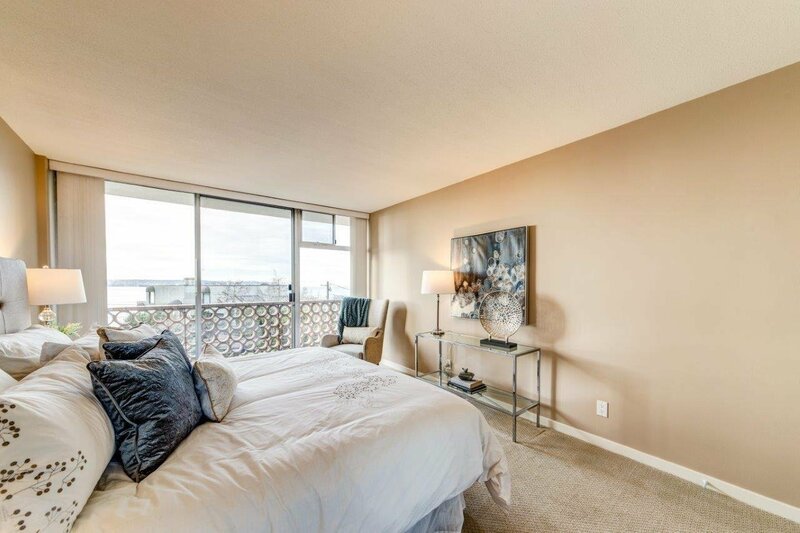 A rarely available, spacious (Strata Plan 810 sf) one bedroom at THE CRESCENT on ARGYLE. 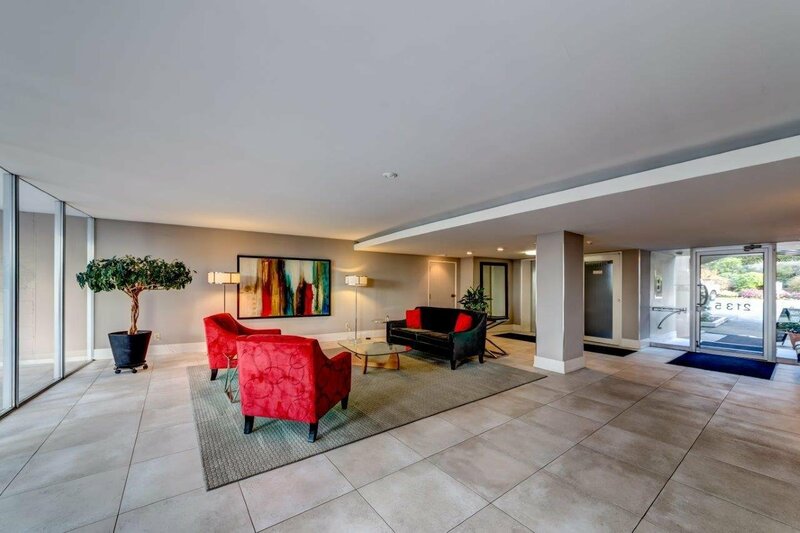 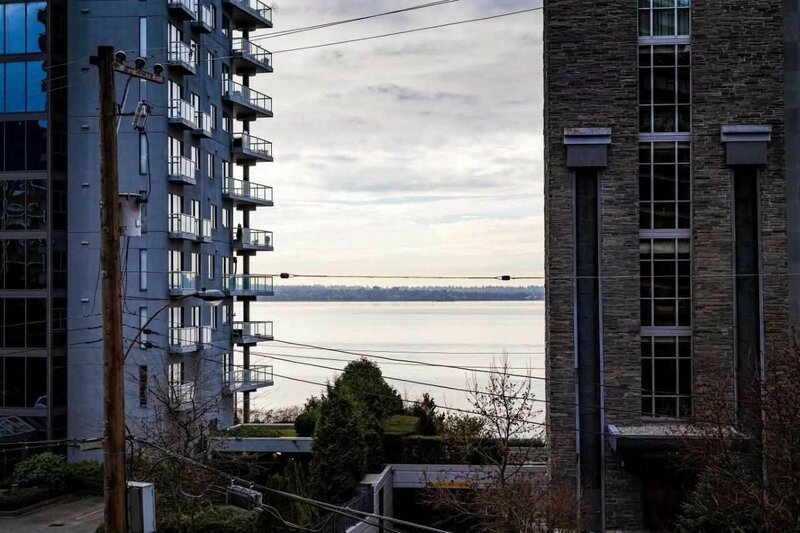 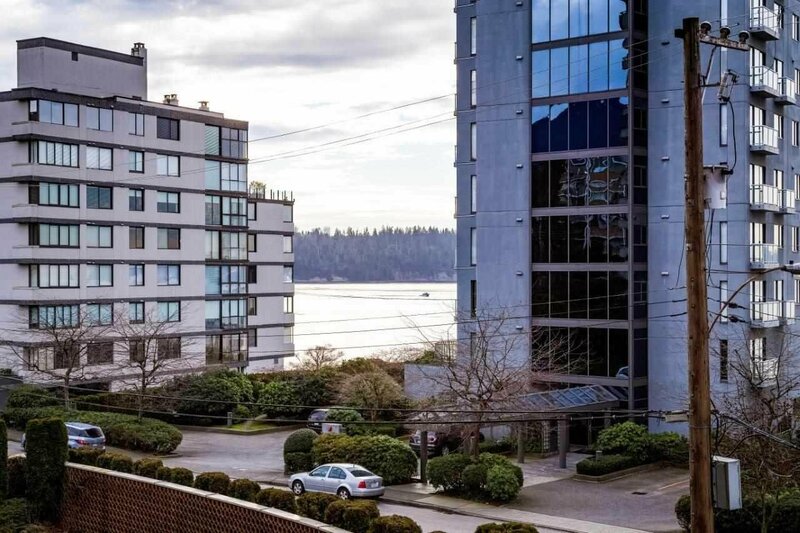 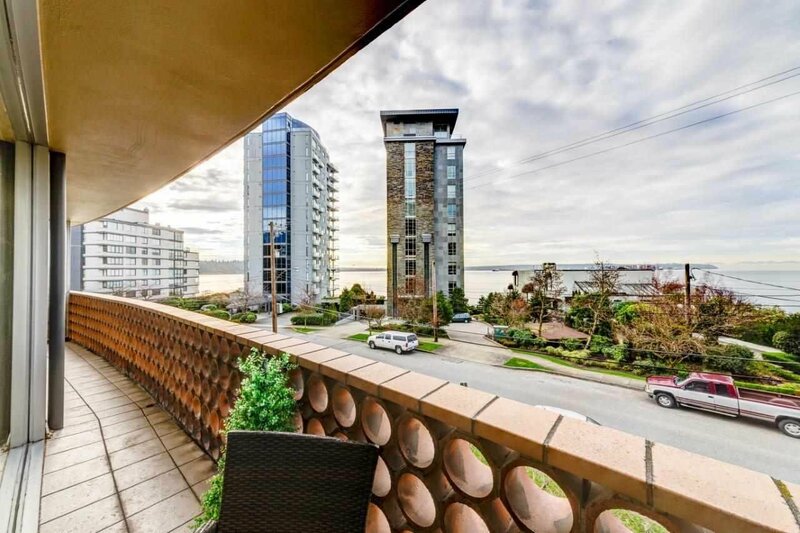 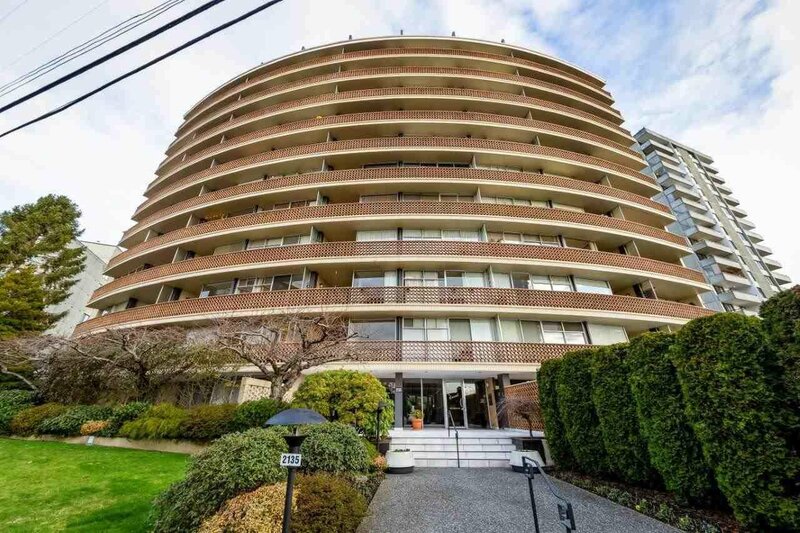 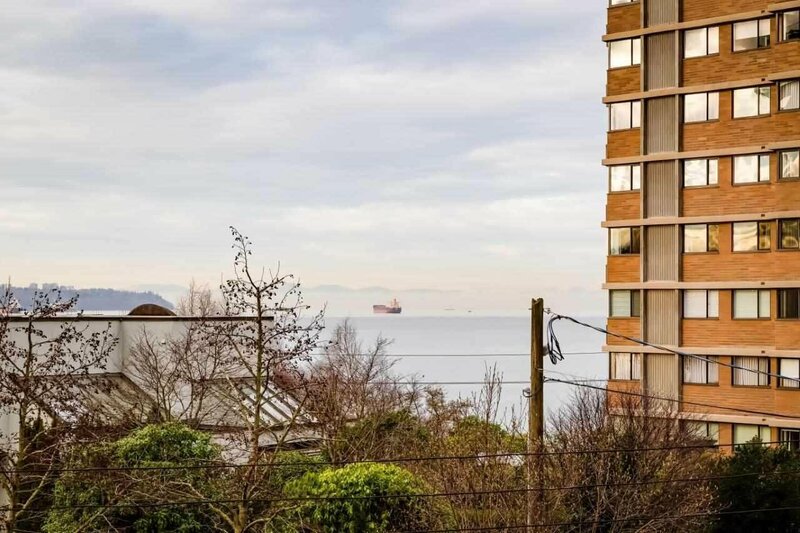 Prestigious, sought after iconic semi waterfront building steps to the Library, Recreation & Seniors Center, Seawall, John Lawson Park, the Silk Purse & shops & services in Ambleside & Dundarave. 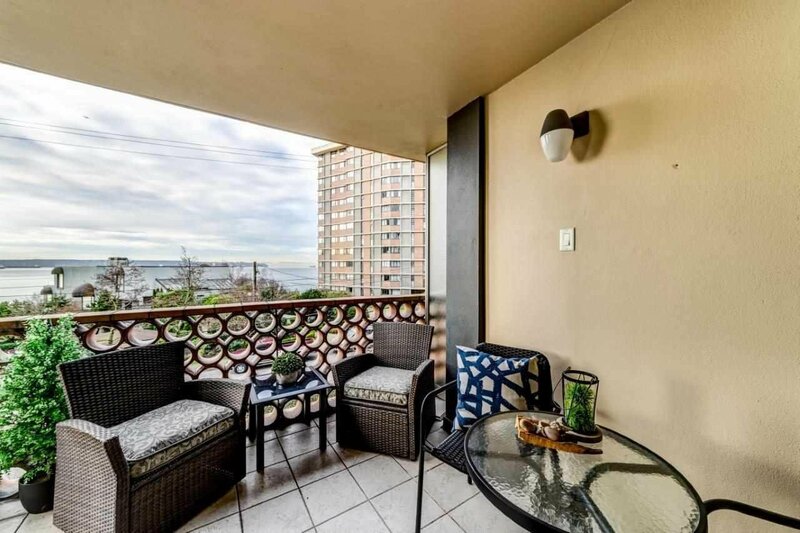 Sun-drenched south facing with ocean views from floor to ceiling windows & patio doors that lead to a private recessed outdoor balcony, perfect for watching cruise ships, birds & all the ocean activity. 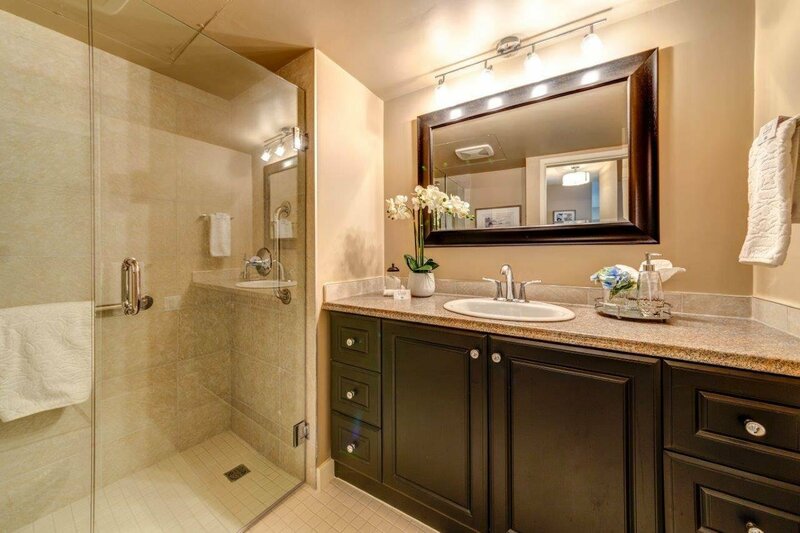 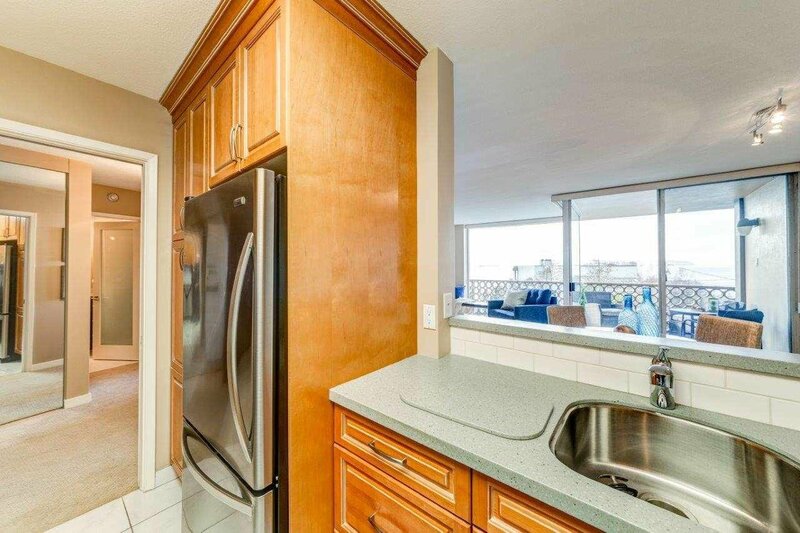 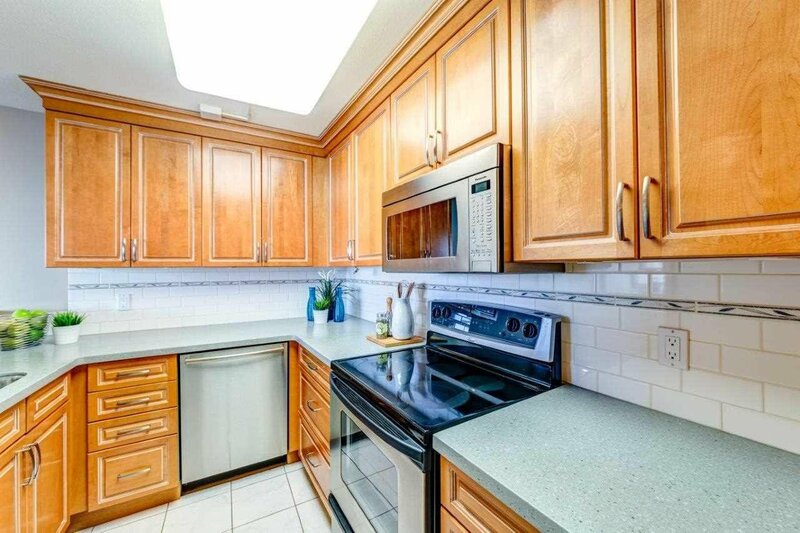 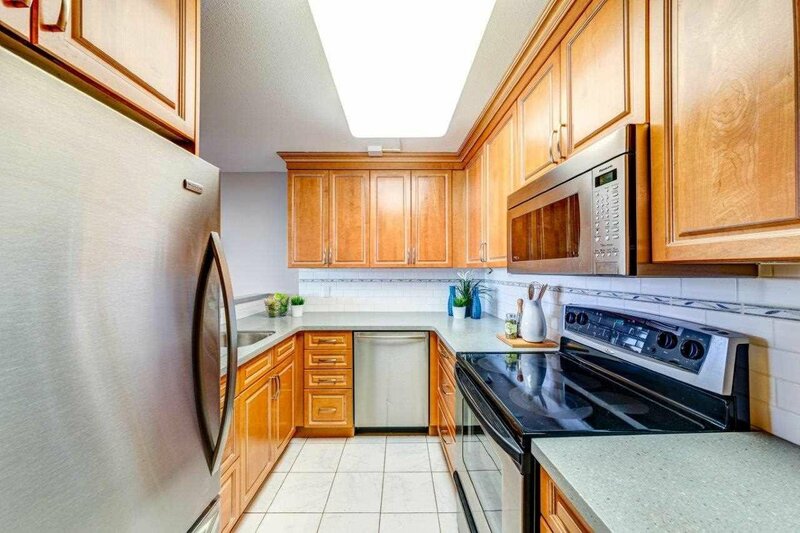 Truly lovely renovations include the kitchen with stainless steel appliances, a beautiful new bathroom & designer doors. 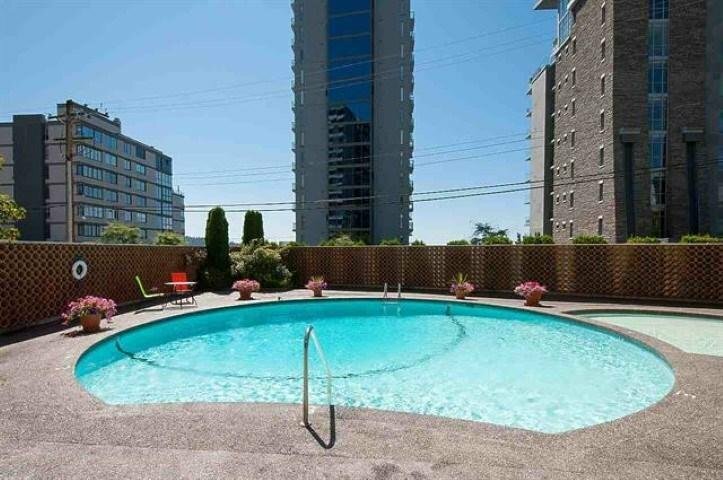 A warm sense of community with residents enjoying the outdoor pool & monthly gatherings. 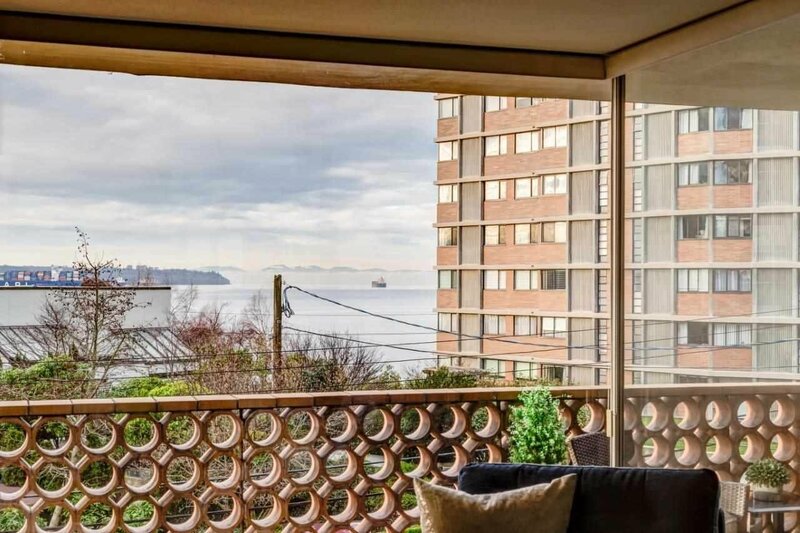 A VERY SPECIAL HOME! 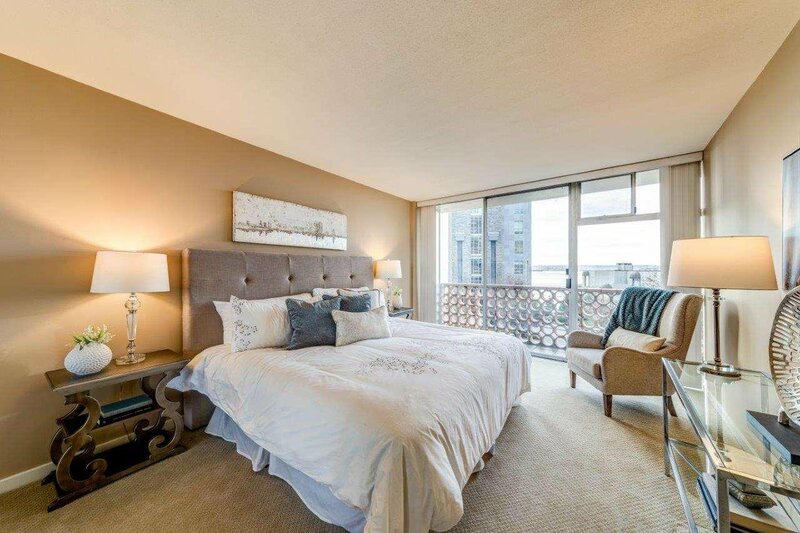 Bring your house sized furniture and King sized bed !